Discussion in 'Suspension, Steering & Brakes' started by james2747, May 13, 2018. Can the rear spring be removed using normal spring compressors? I have recently purchased the car and in the service records it showed both rear springs were replaced in 2008. I noticed this week that one side of rear was sitting about 3cm lower and further investigation found the drivers side rear spring was broken very near the bottom coil ... so still drivable. I've had a quick 'read around' on how to replace the rear spring but it mentions special compressors .... can the job of replacing the spring be done without these? I do have 2 lots of 'standard' spring compressors ... one large size ... one small size but access at the rear doesn't look great. Never had to use a spring compressors on the rears in standard set up. I don't recommend a DIY replacement though due to the lower arm and shock absorber removal to access the spring. 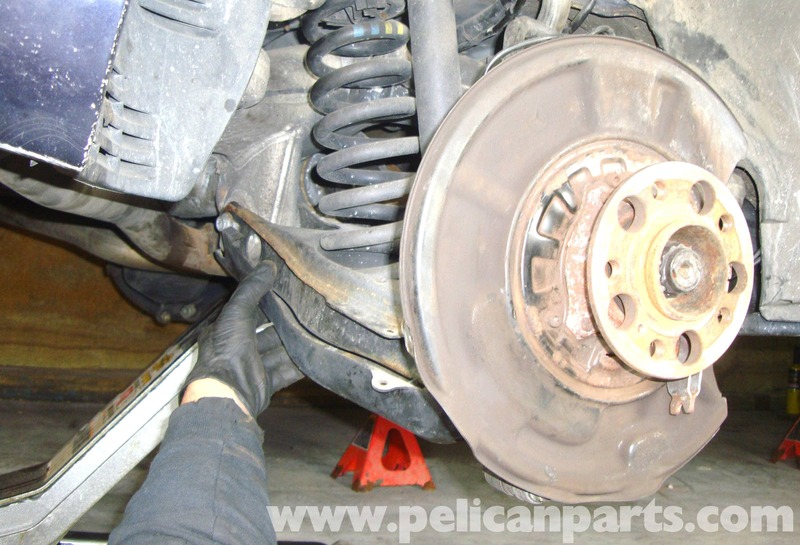 Generally rear springs can be removed without spring compressors, raise car, remove wheel, support rear radius arm with another trolly jack, remove shocker & lower radius arm till spring falls out. daibevan and Westheath like this. Unless it's like the W163, spring and strut come out together, and a garage spring compressor needed to remove spring. I replaced both mine as units. The 211 has a 5 link rear suspension and the coil is independent to the shock absorber. Sounds easier than I imagined. I don't mind a bit of disassembly .... as long as it can all go back together without special tools. Thanks for the assistance ... much appreciated. A bigger problem .... which spring! Went to buy a replacement spring ... (I know you should replace in pairs but can't afford at moment) was offered 3 choices at GSF motor factors. GSF part numbers 511ME0300 / 511ME0340 / 511ME0720 ... all they could tell me is, "they all fit your car"
I asked them what the difference was between the 3 springs but they couldn't tell me ... and mentioned mine should have colour bands on them and I need to replace with same colour bands. May need to talk to Mercedes parts people to find out what I need. I'm quite competent at the DIY so will give it a go ... just having trouble finding out what springs I need as replacementgs ... see my reply to 'EmilysDad'. Yes. The springs have coloured marks on them . Easily visible when you jack the car ...unless the spring replacement in 08 wasn't with MB springs. I have the same car, same year. I had a friend do mine for me. He's mercedes trained. He had to use internal spring compressors. There's a hole through the bottom arm once you take the plastic off to compress the spring . He had to remove the bottom bolt from the shocker to make room. He used a 6 foot bar with me sat on in the end of it to make enough room. Nasty job. Took about 90 minutes to do both sides. Some advice on ordering new springs. There will be 3 colours on your old ones. You can cross reference this on the internet to find the part number. This will ensure that the ride height will remain the same. There loads of different ones.